Good article from Simple Mom. A springboard for your own list? 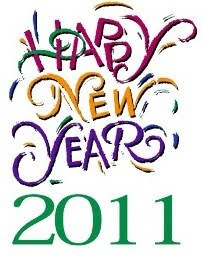 Now is the time to remember and reflect on 2010 . . . and look forward to the days ahead. As Christmas approaches and the Nook, Kindle, SonyPocket Reader, and iPad find their way under YOUR tree or the tree of someone you love, check out this great article about where to find FREE books for eReaders. Also of note, even if you don't have the actual reader for these devices, many have the software downloadable for the computer, smartphone, or tablet at no charge. Check out this second list (from the Amazon.com website) that lists even more free eBooks! Make your own sale coupons at Michaels! itsThoughtfulHi there, Andrea Holloman has added you as a friend on itsThoughtful.com. itsThoughtful.com is a cool social shopping network for friends to share popular, creative, thoughtful, unusual, funny, unique (we can add more adjectives but you get the idea) gift ideas in the world. View personal invitation from Andrea Holloman If you would not like to receive further invitations from Andrea Holloman, you can opt-out. itsThoughtful's address is: 20A Northwest Blvd, #218, Nashua, NH, 03063. Today's special is a printable coupon for free chips & queso! YUM! Dear Friends, I love how nature provides us with the tools we need to help keep our bodies strong and healthy. Herbs are one of those tools. For thousands of years people have depended on fresh herbs to heal everything from heart burn to cancer. Most all of the expensive prescriptions we get from our local pharmacy are derived from the ancient wisdom passed down from herbalists. So why all the hype and mixed messages in the media about herbs? Simple. Follow the money honey. Now, don't get me wrong. Modern medicine certainly has its place and you know I am a firm believer in taking your medicine. But for some common ailments and some preventative measures herbs are just what the doctor ordered. A word of caution, many herbs do have drug like qualities and should be avoided if you are taking certain medications or planning surgery. Talk with your doctor or pharmacist to be on the safe side. I am thankful for a new front-loading washer that will steam clean clothes and has a speed cycle that will wash a load in 15 minutes. DH found it on a great deal on Black Friday and it was delivered yesterday. 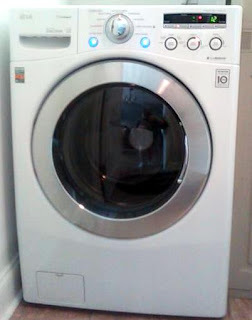 Forgive me for waxing nostalgic for a minute, but when Rodney and I were first married, we lived in a couple of apartments that did not have a washer and dryer. Doing our late-night laundry runs at the Suds-O-Matic was a way of life for us. I am pretty sure that we observed several drug deals and who knows what else. Every time I do laundry, from the comfort of my own hallway, I breathe a prayer of thanks. I was a little sad to see the old one leave, we got it the week Allison was born, but not so sad that I asked them to leave it on the back porch! It was a good one, but was starting to show signs of its age. Hi How DoesShe GalThanks again for signing up to be a HowDoesShe Gal. We just wanted to make sure you got all the Good Stuff! So, here is 10 of our top posts to our top freebies! 1. What would you do with 144 Balloons? 2. Free Photo Canvas... Seriously, this is great! Bath & Body Works: $10 off $10! Looking for a last minute gift or a stocking stuffer? Check out this deal that I found through Southern Savers. $10 off a $10 online purchase--all you pay is shipping (and sales tax, if applicable). I finished up my nieces' Christmas today with a gift she asked for. . .for $6.50! Wahoo!